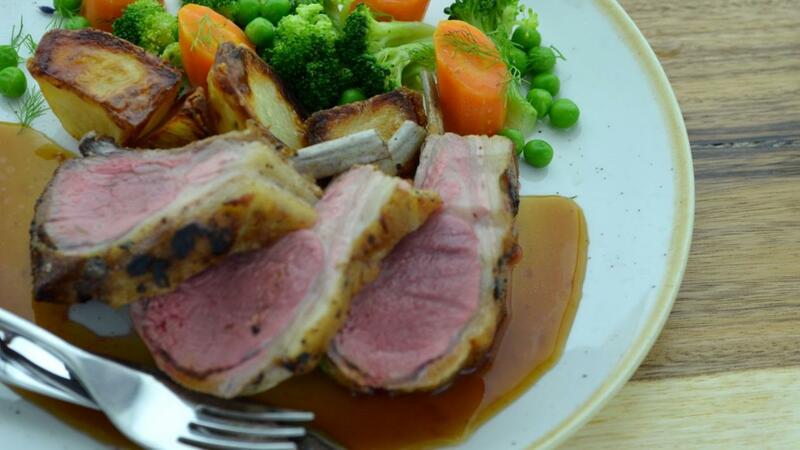 This is a classic Sunday lunch recipe is served with a rich merlot gravy. Prepare it with fresh seasonal vegetables such as brussel sprouts ans carrots. Try out this roast rack for your Pub menu. Heat the oil and add the rosemary and MEADOWLAND professional. Season the lamb then add to the pan and seal the for 3-4 min. turning and basting occasionally. Remove the lamb from the heat. Place the lamb in to the oven and roast for 10-12 min. then remove the lamb from the pan, cover and allow to rest for 5 min. Drain off any excess fat and oil. Place the lamb pan back on to the heat. Pour in the Merlot and reduce by half then pour in the water and return to the boil. Whisk in the KNORR gravy granules to thicken then remove from the heat. Carve the lamb in to chops then place on to a serving plate. Pour the gravy in to a jug and serve.